A regular chimney sweep/cleaning in your home, apartment complex or condo can help prevent carbon monoxide poisoning, and can help to prevent house and chimney fires. Without proper chimney maintenance, fireplaces and woodstoves can be dangerous because they often either cause fires or release toxic gases into your living area. When tar and soot from wood and fuel burning build up in your chimney, they must be removed by a chimney professional. 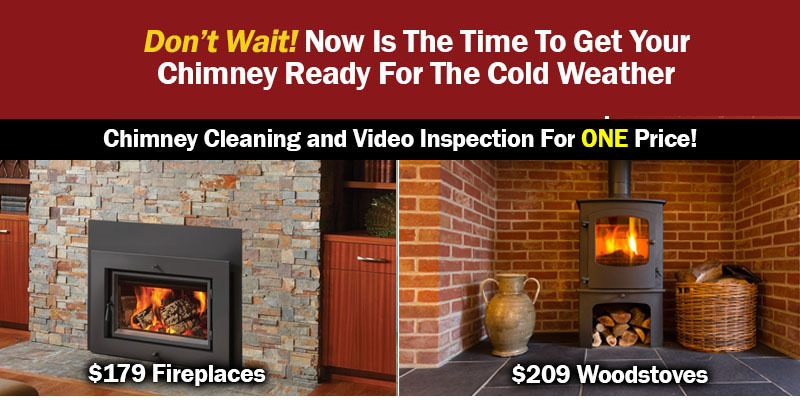 It’s important that every household have a chimney cleaning from a certified chimney specialist.